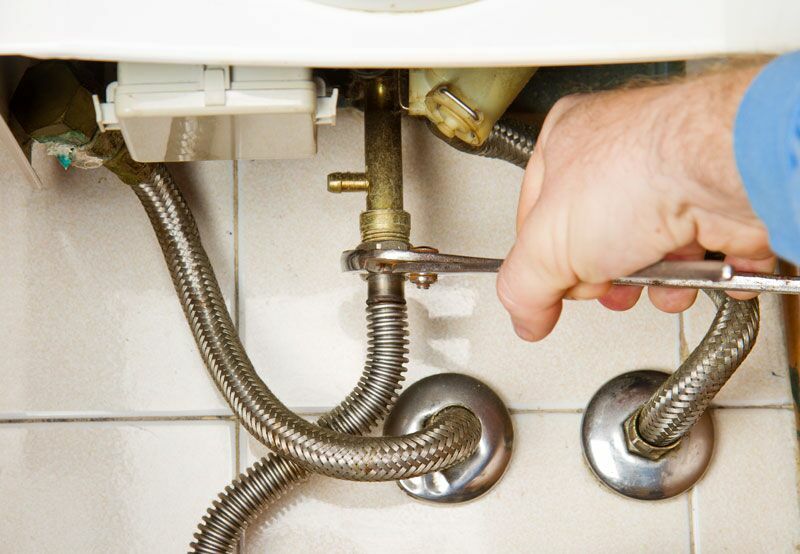 Save yourself from the nightmare of burst pipes in your home. While Southern California winters are far milder than most, this doesn’t mean that we are completely immune to a cold spell. If temperatures begin to drop this fall and winter, then it’s possible for your home’s pipes to freeze over and even burst. Be prepared for this possibility by knowing which precautions to take around your home. If temperatures drop below freezing, then it’s important to keep the heat circulating through your home. The first thing that you should do is keep your thermostat set to at least 55° F, even when you are away from your home. This will ensure that your home stays warm enough to prevent the water in your pipes from freezing over. To further facilitate the circulation of this warm air, open up the doors inside your home, particularly the cabinet doors in your bathrooms and kitchen. This will allow the warm air to reach the plumbing concealed behind your cabinetry. While the tips above will protect the pipes inside your home, you will need to take additional precautions for the pipes in your attic and garage. Many homes have their main waterlines in the garage. To protect these pipes from freezing over, you should try to keep your garage door closed as much as possible to create a layer of protection between your pipes and the freezing outside air. For the pipes in your attic, the warm air from your heater might be enough to keep them thawed out. However, if you would like a more permanent and assured solution, you can always speak to a contractor about adding extra insulation to your attic. These are some of the suggestions you can try to prevent your pipes from freezing over and bursting if temperatures drop too low. Want another way to take care of your home? Then make sure you have the right homeowners insurance protections in place. For assistance with all your home’s coverage needs, contact us at Udell Family Insurance today.